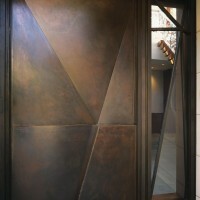 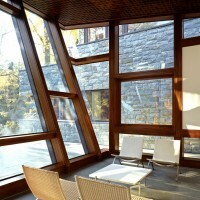 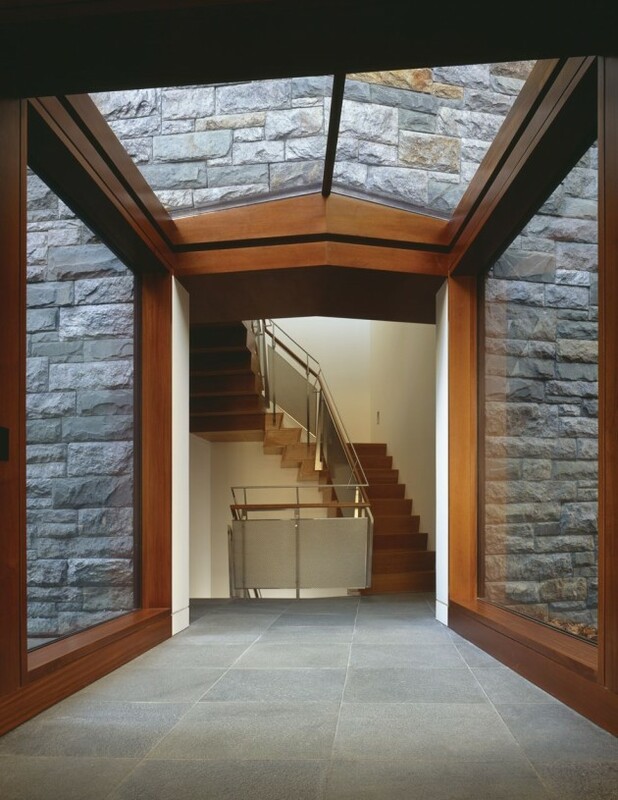 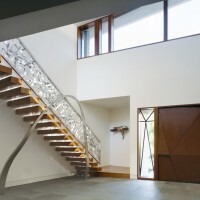 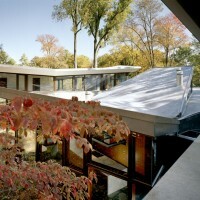 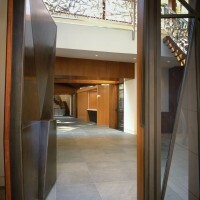 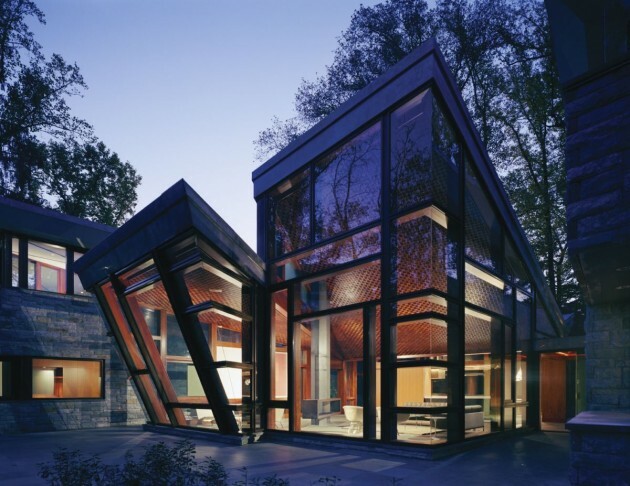 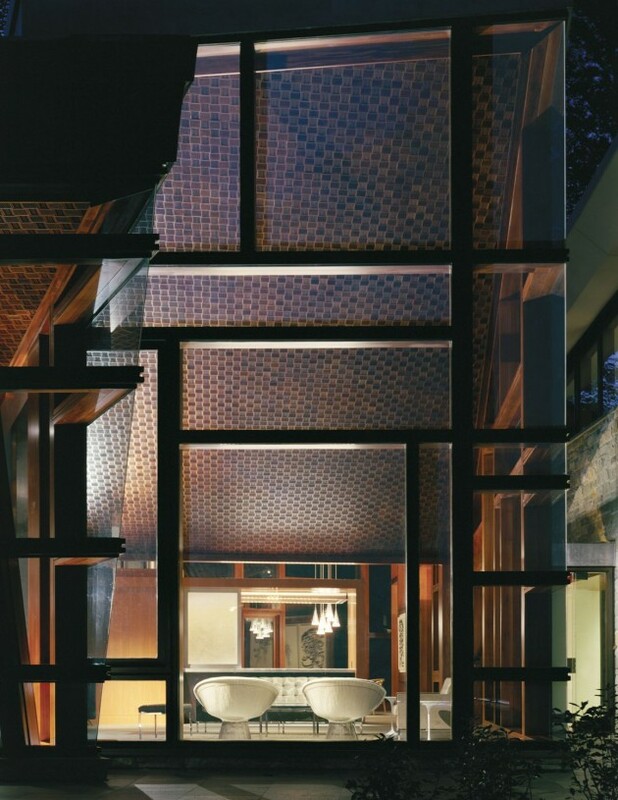 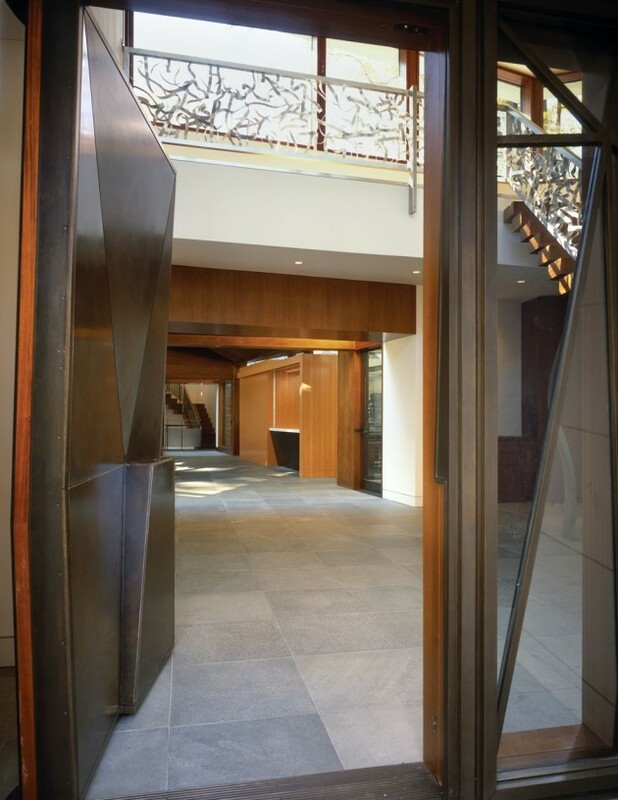 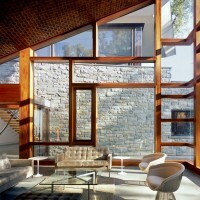 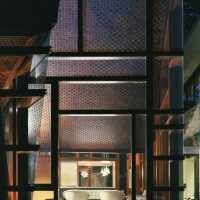 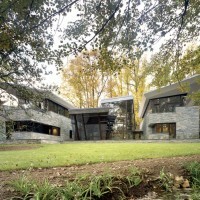 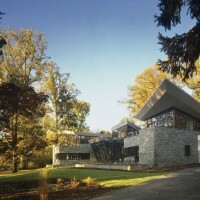 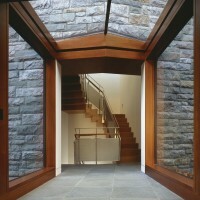 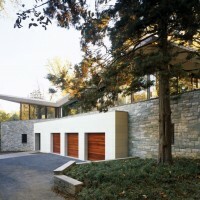 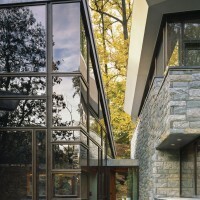 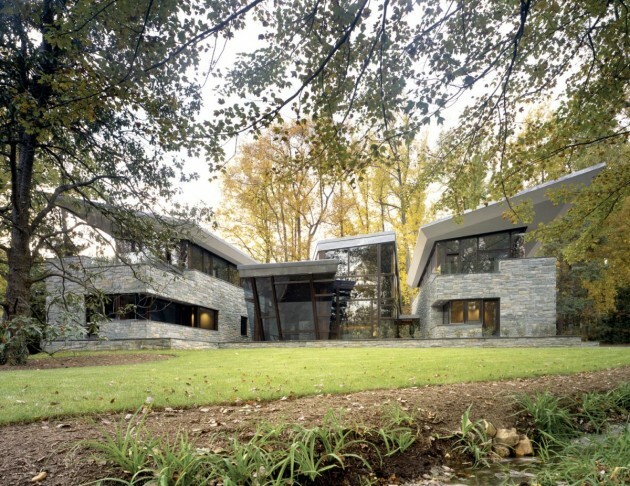 Architect David Jameson designed the Glenbrook Residence in Bethesda, Maryland. 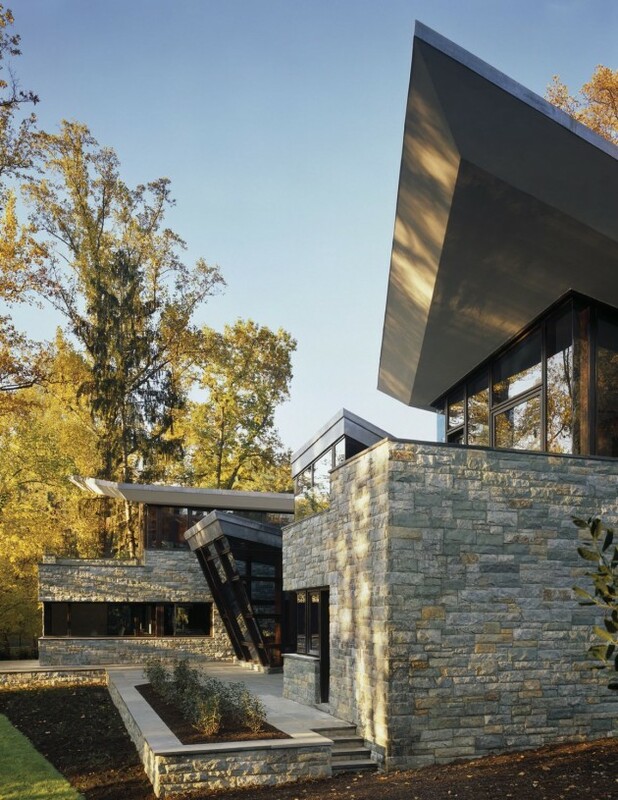 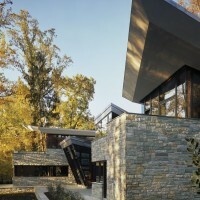 Two stone structures surround a glass pavilion within a wooded landscape in Bethesda, Maryland. 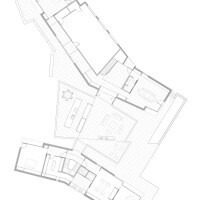 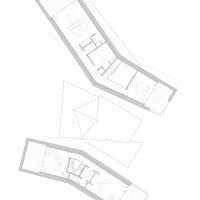 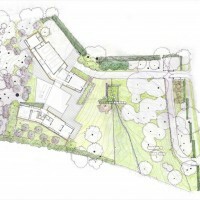 The concept for the Glenbrook residence was to create three distinct structures: one for the most public programs (entry space, garage and guest bedrooms), one for the most private living programs and one where “public” and private can co-exist. 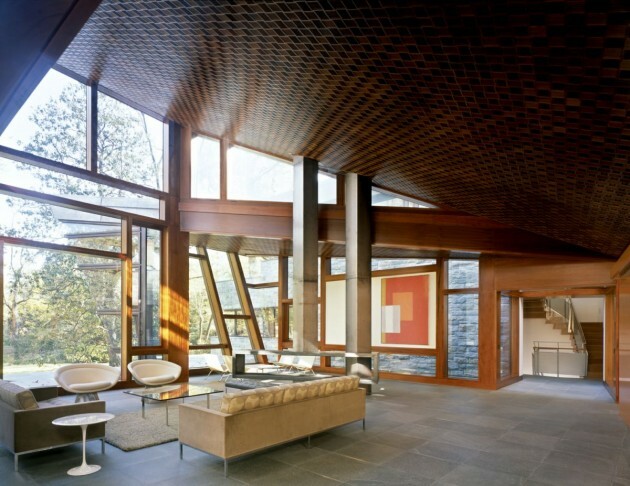 Each space has an outdoor terrace or some special connection to the site while the roof of the glass pavilion folds beyond one’s cone of vision to create the feeling of being outside. 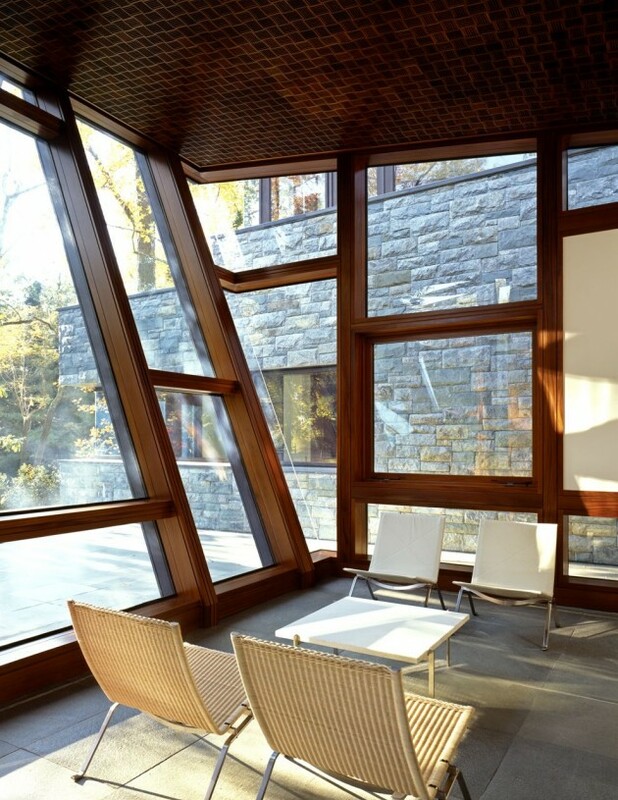 The building is made of all natural materials with a 100-year lifespan and features an underground spring-fed water furnace HVAC system.